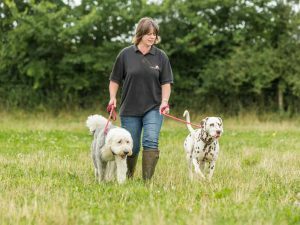 We carry out individual or group walks (up to a maximum of 4 dogs) lasting for half an hour to an hour. 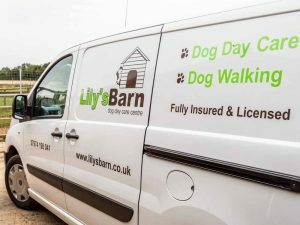 Our dog waking service is flexible and walks may be as frequent or as long or short depending on what suits your dog and their lifestyle. Please contact us for further information and to discuss your needs. 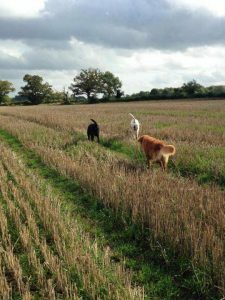 DOG WALKING RATES – £13.50 per walk (group or individual). 1/2 hour walks from £10. Price depends on location. 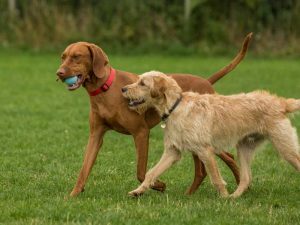 Not all dogs need such constant attention as full day care, it can depend on breed and age and what they’re used to. This is why we also provide a dog walking service. 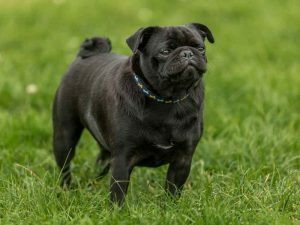 Many pets prefer to remain in the comfort and familiar surroundings of their own home and are happy to be made a fuss of, be fed and walked at intervals during the day. 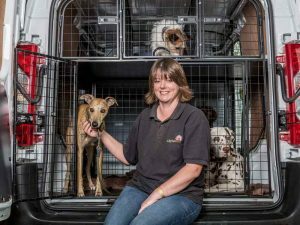 We will hold a key and collect your dog for ‘walkies’ while you are out at work and return him or her home after some good exercise. 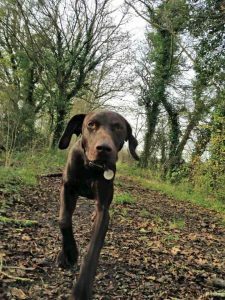 All our routes are within safe distances from roads and traffic which means we are able to exercise your dog off the lead if this suits your dog. 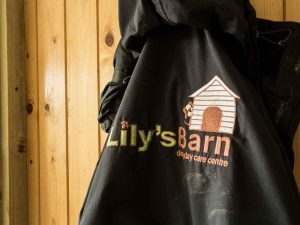 Any restrictions or instructions you wish us to abide by will be discussed at an initial visit and adhered to at all times. 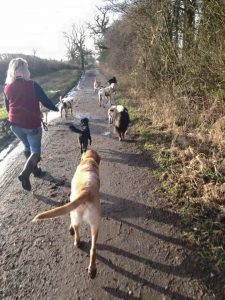 Group walks are ideal for those dogs that need plenty of exercise. 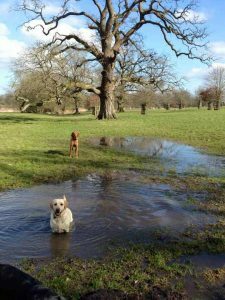 Our walks are varied and include routes through local woodland and farms in GRITTLETON | KINGTON ST MICHAEL | ALLINGTON | STANTON ST QUINTIN to name a few. Longer walks are also enjoyed through the CASTLE COMBE and SLAUGHTERFORD VALLEYS.